Worldwide leader in the market of balers. As manufacturer of complete packaging solutions, we have all the necessary expertise and facilities under one roof: engineering, production, assembly, and service. The most reliable technology for compressed packaging on the market wasn't built in a day. Back in 1992, Willems Baling Equipment was a pioneer in fully-automated bale packaging. And our continuous improvements, investments, and innovations mean that we still are today. Every day we work on technology to make our machines even safer, more efficient, more precise, faster, and more flexible. Willems Baling Equipment can provide you of a complete turn-key solution for turning bulk product into compressed packaged bales stacked on a pallet ready for shipping, and everything in between. 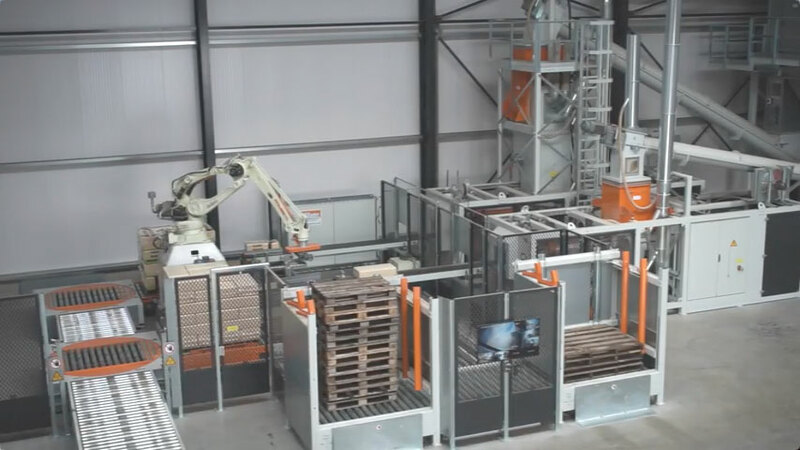 Willems Baling Equipment realises the optimum efficiency in product packaging for our customers. We achieve this efficiency by building custom machines which set the global standard for quality for years. The entire process is carried out by our own specialists: from design, production, testing, and transport, all the way to building, adjusting, and activating the machine on location. Our service and maintenance programme keeps the machines in optimum condition so our machines can continue to deliver the best quality and efficiency.